Today our special guest is Kristin from Kojo Designs. She blogs there with her sister. Between the two of them they sew, cook, and throw a mean party. Their parties should really be in magazines. I got to meet Kristin at Snap and she had the kindest, warmest personality plus the best smile ever. Welcome Kristin! Hi there I Am Momma, Hear Me Roar friends! I'm Kirstin, half of the sister team that blogs over at kojodesigns, and I'm thrilled to be here today. 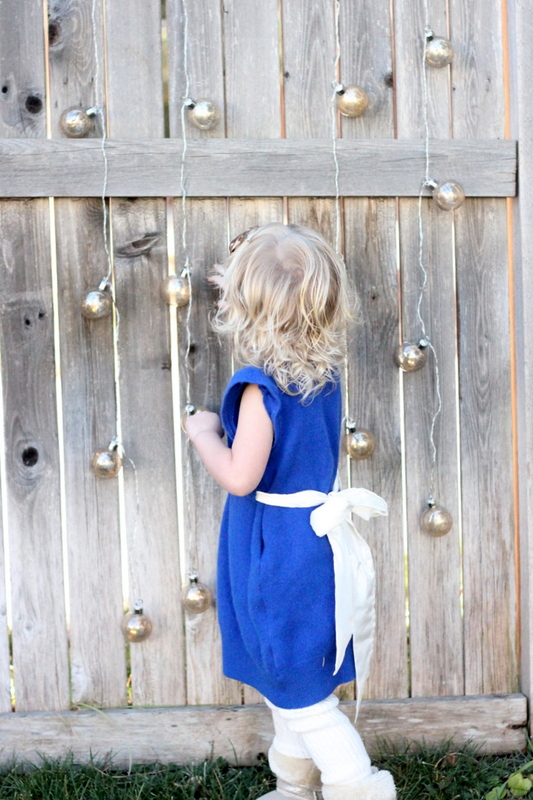 I adore Cheri, love this blog, and love refashioning in general. I love the Refashionista series- every year, the contributions are so fabulously inspiring. Even more, I love the idea of taking something that is no longer being used and breathing new life into it. I have a (small) pile of cashmere sweaters that I've been holding onto, just waiting to be refashioned. I also love sweater dresses on little girls. Match made in heaven, no? 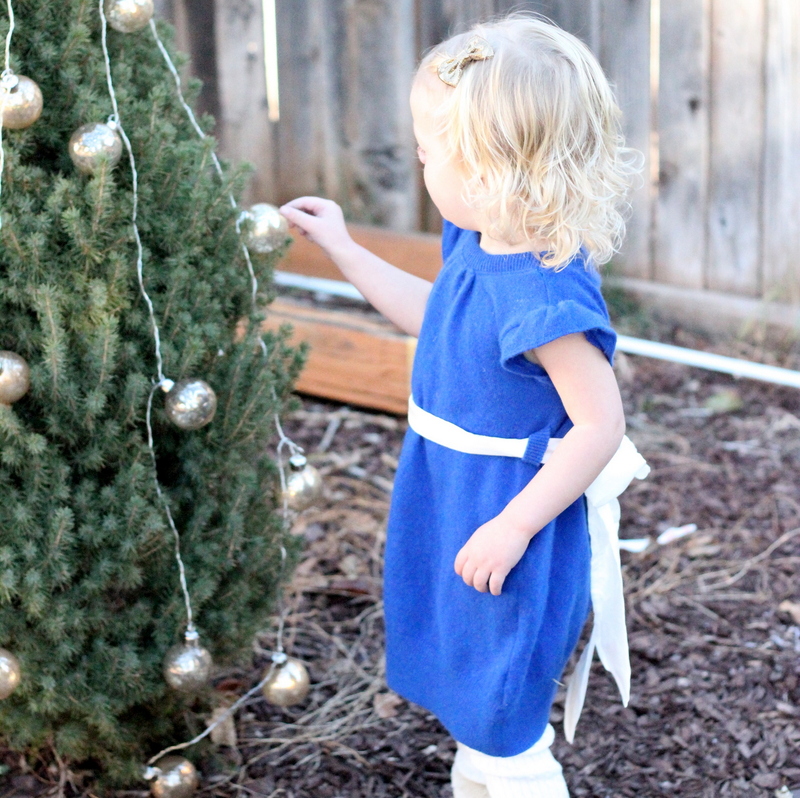 For this refashion, I used the Go To Signature Dress pattern. The pattern calls for stretchy material, like jersey. When I made Piper Jane a jersey version last summer, I remember reading that you could use stretchy sweater material and thinking, "I should get out those cashmere sweaters and see if any of them are big enough." 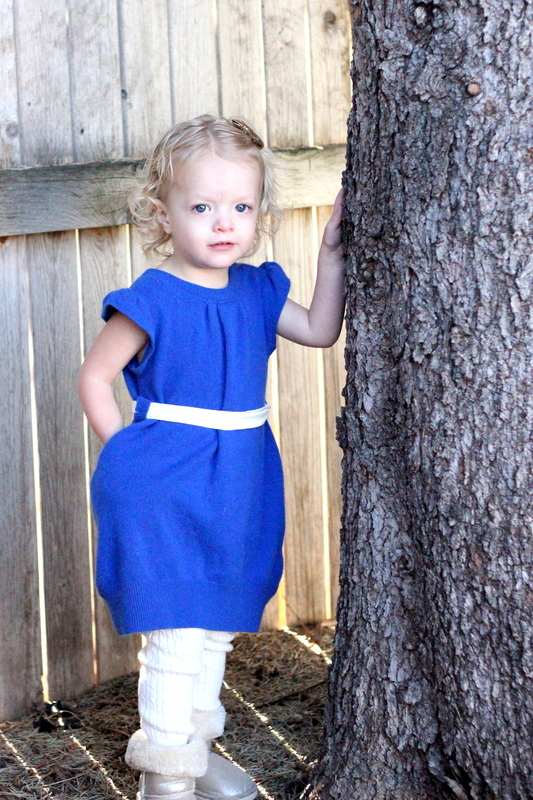 Fast forward a few months and Piper Jane's closet now has the most fabulous little cashmere dress in it. She loves the pockets (she fills them with barrettes, jewelry and pennies) and how soft it is. And the satin bow (a last minute addition) can be worn tied in front or in back. I have to admit, I'm a little jealous. If only I had an XXXL cashmere sweater in that pile to refashion something for my closet too! Thanks for having us today, Cheri! Happy refashion-ing, friends! Thank you Kristin! 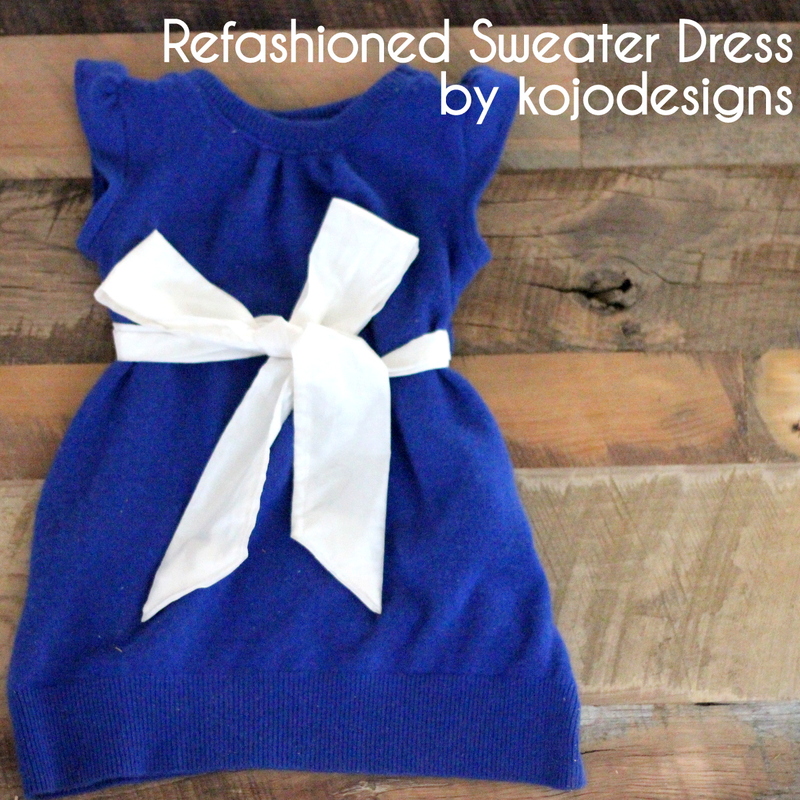 I love it when you can make clothing for your kids that's cut AND really comfortable too. If you haven't been to Kojo Designs please take a little trip. Browse their amazing parties HERE and check out some awesome knock-offs HERE. So cute! Natalie could definitely use some sweater dresses. Piper is such a doll. Love the blue and white!